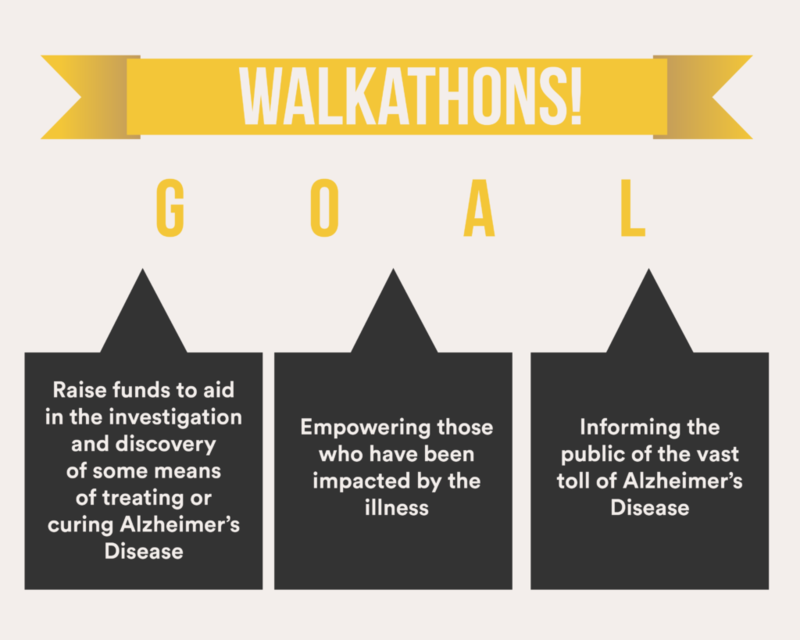 What are the Goals of AD Walkathon Fundraising? How Much is Needed for AD Research? What Else Can Be Done to Help Fund these Efforts? Walkathons are worldwide fundraising activities used to raise money for Alzheimer’s research, support individuals with Alzheimer’s and their families, and raise public awareness of the disease. 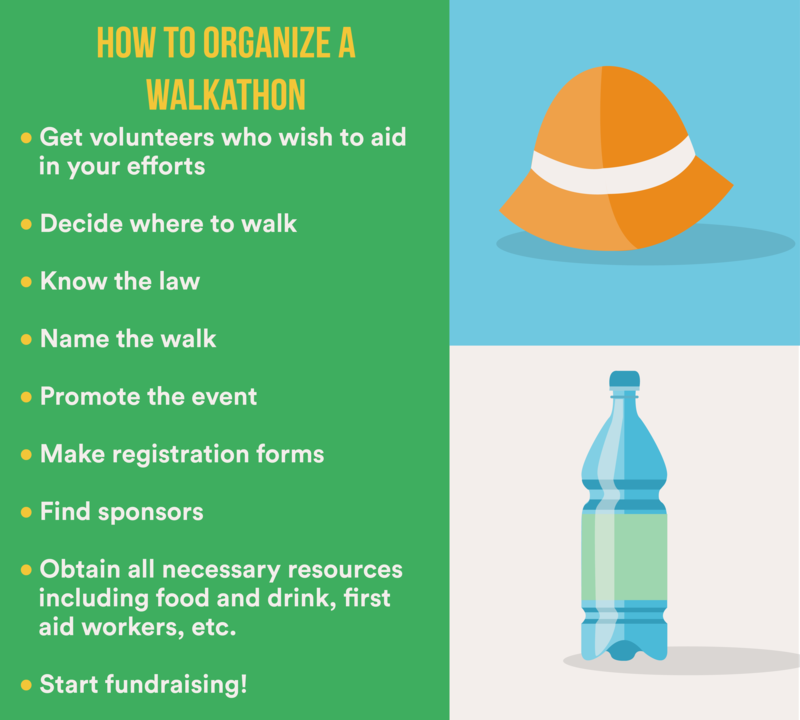 For first-time organizers of walkathons, it is important to plan logistical, marketing, and financial details. Alzheimer’s charities are not identical so you should have a clear set of objectives before making your choice. Other ideas to effectively raise money include Contest Fundraisers, Logo Merchandise Fundraisers, Do-it-Yourself Fundraising, etc. 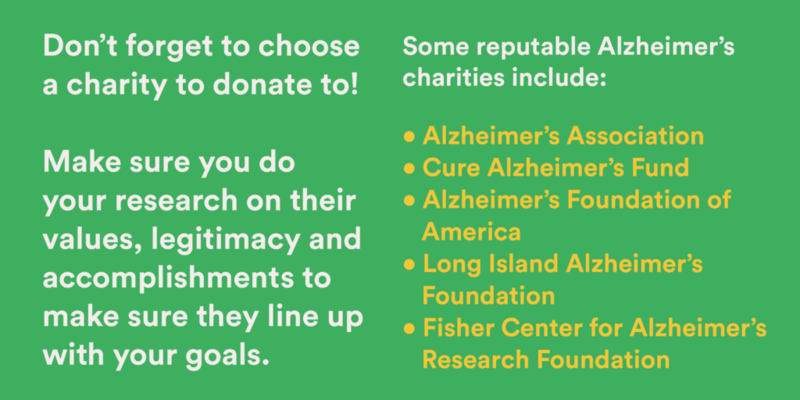 Reputable Alzheimer’s charities include Cure Alzheimer’s Fund, Alzheimer’s Association, Long Island Alzheimer’s Foundation, and more. This article will look at walkathons, how to organize and participate in them, and other information regarding Alzheimer’s charities, enabling the reader to make informed decisions on Alzheimer’s-focused philanthropy. Alzheimer’s is the nation’s sixth leading cause of death, and it remains a growing epidemic. 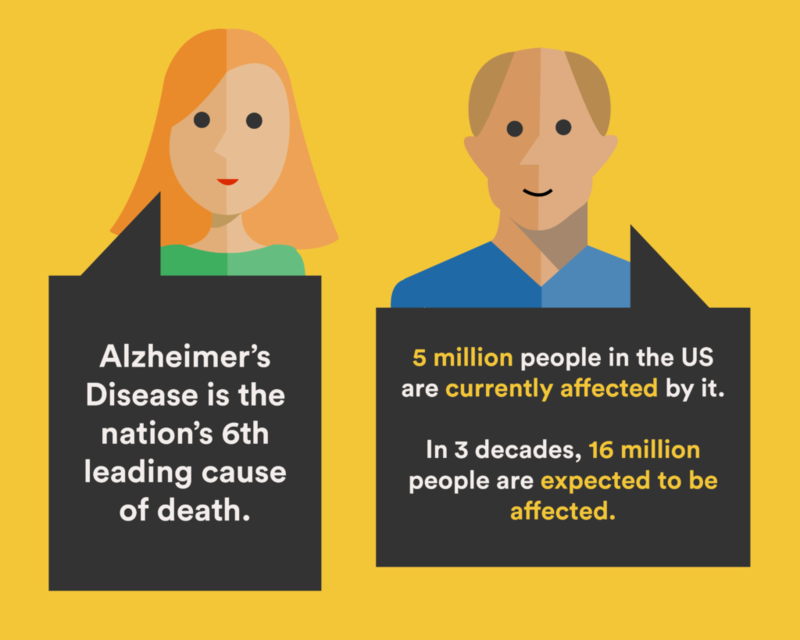 In the United States alone, over five million people have Alzheimer’s disease. It is also estimated that in a little over three decades, that number will more than triple to 16 million people, unless something can be done to halt it. That is the goal of charity efforts such as walkathons in which participants collect funds for walking a certain number of miles on a track or road course. Walkathons, a fun and useful means of fundraising, are believed to have originated in Puerto Rico in 1953. They have since become a worldwide phenomenon. It seems that people are attracted to this type of outreach as it is engaging both physically and spiritually, helping rouse feelings of community and solidarity amongst participants. Given that these events do not require substantial resources to create, the charity in question can make a decent profit, encouraging other charities to do the same. Alzheimer’s disease (AD) is an irreversible, degenerative brain disorder that leads to a decline in cognitive and functioning skills. It accounts for over 60 percent of all cases of dementia, and it primarily occurs in the 65+ age bracket. It is one of the leading causes of death in America, and the only currently available treatments are only capable of slowing its progression and reducing symptoms for a limited time. The medical research community has attributed the delay in finding a cure to the lack of funding. Fundraising for Alzheimer’s research. It is claimed that the funds set aside for exploring new clinical interventions is a mere pittance compared, for example, to the expenditures on AIDS, cancer, and heart disease. Fundraising to support all those who are impacted by the illness and who may feel left behind due to their inability to save or effectively help their loved ones with the disease. Informing the public of the vast toll of Alzheimer’s disease. By raising public awareness, it is hoped that pressure can be exerted on those in power to allocate more research funds for Alzheimer’s. It is important to gather people who wish to aid in your efforts. Friends, family members, acquaintances, and those who sympathize with the cause for one reason or another should be looked to for help. Ensure that your message is appealing and easy to understand, so that it may be more likely to engage the general public. However, do not be so concerned with making your message all-encompassing enough to lose sight of your principal message. A number of venues can be used to hold your walkathon, schools, malls, parks, and/or cordoned off roadways. Those who are just beginning should start out with shorter courses to diminish the barrier for entry and allow for greater levels of participation. Permits are often required depending on the event’s location. Consider the climate, the time of year, whether there may be some conflict with another event, and how busy the site is projected to be when making plans. Familiarize yourself with the laws that are pertinent to these events. Doing this as soon as possible can save you a great deal of grief. While this may seem rather time-consuming, there are a number of organizations that already have much of this info available. Also, simply asking local officials what permits and forms are needed and what regulations need to be followed can be helpful. Providing your walk with a catchy and/or evocative title can allow the public to more readily recall the nature of your event and potentially win greater support from the community. For instance, you can employ the namesake of someone you lost to Alzheimer’s when dedicating the event. Doing this often humanizes your organization, which then engenders feelings of camaraderie and fellowship in participants and donors. This is one of the keys to holding successful charity events. While many may feel that such measures may cheapen the cause, they are necessary to rally support for your cause and event. Use social media to advertise your walk, hang flyers at your place of work, library, gym, or other community hubs to achieve proper dissemination. You can’t exactly have a walkathon unless there are people willing to walk. Utilizing these measures enables you to spend very little money on advertising. Using multiple forms of media will allow more people to register for your event. Also, liability waivers should be included to avoid possible legal issues that may ensue as a result of injury or illness caused by participation in your walk. There will often be templates for these available online. You and your merry band of volunteers should try to gain some backing from businesses that agree with your cause. To sweeten the deal, present the walkathon as an opportunity to advertise and further boost their brand with potential customers. You should not be scared to ask for money for a good cause, and it is not the end of the world when people turn you down. The potential benefits from soliciting for donations considerably outweigh the downsides. Arranging this event will be quite demanding. It requires obtaining the needed resources, including food and drink for those walking, first aid workers to care for the injured or ill, tables, chairs, registration forms, donation boxes, course markers, and volunteers who will help manage the affair. Keep all abreast of the situation by discussing new developments with your committee of volunteers. This should mitigate the risk of miscommunication and needless blunders. There are bound to be numerous hiccups and missteps, especially if this is your first event, but playing Monday night quarterback and taking inventory of the preceding occurrences can allow you to hopefully avoid repeating similar pitfalls next time around. Your goals should be distinctly stated and compared to those of charitable organizations to whom you would like to donate. If you find that there is a stark level of divergence, look for another charity that is better aligned with your intentions. What would you like to see done? What is the level and form of action that you desire? These are some of many questions that you must consider before deciding to which charity you will give donations. These allow you to find out how well charities accomplish their stated goals. Not all charities are created equal, something you should keep in mind when choosing the one to receive your donations. Does the organization in question present all relevant financial data to the public? How much of the money donated actually goes towards their stated goals? If they are not forthcoming with this information, it is not unreasonable to withhold donations. Do they attempt to pressure or manipulate potential donors ? This is a red flag, and should cause you to question why they are using such underhanded tactics. When researching charities you should avoid comparing disparate groups. Doing so can possibly taint the results of your research. If reservations remain regarding a charity, you should abstain from donating. Instead, find another nonprofit that does the same kind of work and with which you feel comfortable, then make your donation. The current federal allotment for researching Alzheimer’s is $961 million dollars, whereas the cost of treatment in the US is over two hundred billion. It is not as if there is some magic number that when reached will grant us the knowledge needed to combat the disease, but we should be aware that we are hamstringing AD research efforts when so little is offered in support of this cause. Put the “fun” in fundraising! 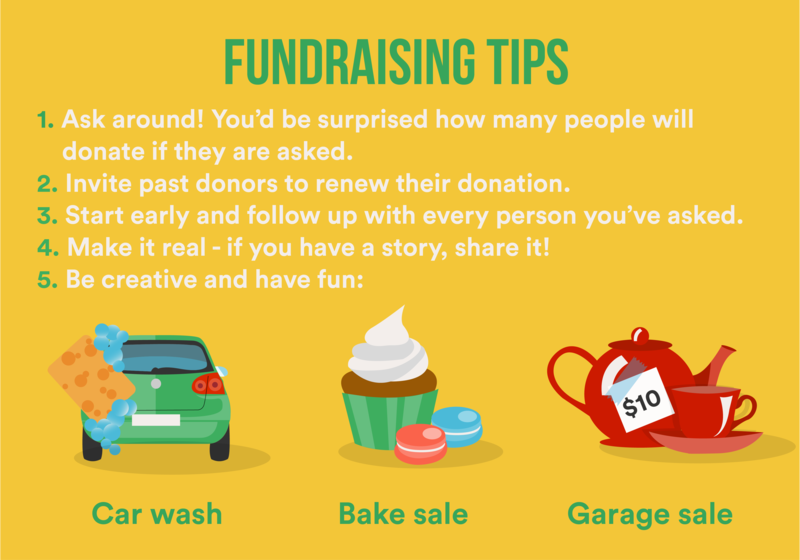 Consider special events to raise money as part of your fundraising efforts. Examples include: casino night, classic car show, gala dinner dance, food sales, raffles, rummage sale, and auctions . Many organizations use special events to offer fun opportunities to acquire donations. In order to determine which event is best suited, one should consider one’s location, time of year, and the target audience. Examining all of these details will allow you to tailor your approach to potential donors, decide which fundraising methods to employ, and avoid potential scheduling conflicts. Consider contest fundraisers such as art competitions, Bingo, costume contests, photography contests, and talent shows. Contests are fun and can attract participants who are not able to make large donations or individuals who are skilled in one area or another. Money is typically made through entry fees and sponsorship of contestants during this style of fundraiser. Given that there is not a large commitment of resources on behalf of those who organize the event, more money can be dedicated to the cause in question. Those who wish to contribute to your cause would perhaps be interested in purchasing handmade or mass produced trinkets with your organization’s logo (e.g. shirts, hats, accessories, and bags). You can sell these items as presents for your campaign to collect donations. These fundraisers occur when purchased goods or services are resold, often with a markup. People may sell baked goods, candy, wrapping paper, or magazines. Try to sell items that go along with a theme of some sort and have a high rate of appeal to a broad swath of donors. These are some organizations that have been extensively vetted and are highly rated to help get you started, but that does not mean that donating to charities that have not been listed would necessarily be ill advised. 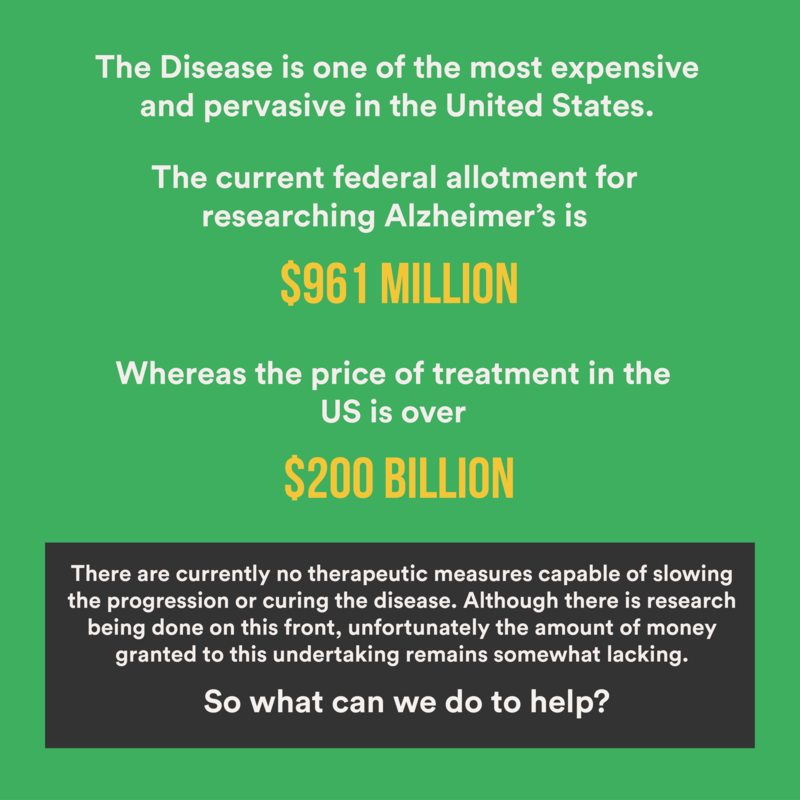 Cure Alzheimer’s Fund was started to fund investigation to slow, stop or reverse Alzheimer’s, using philanthropy. Costs are covered by the Founders and Board, enabling further contributions to be given to AD research, which is focused on finding the genetic links to Alzheimer’s. This can be used to consistently forecast one’s risk of developing AD. Their projects consist of: Alzheimer’s Genome Project, Alzheimer’s Genome Map, Alzheimer’s Brain-Genetic Study, Alzheimer’s Clinical-Genetic Study, Alzheimer’s Gene Database, MicroRNA’s and APP, and Alzheimer’s Gene Discovery Project. The Alzheimer’s Foundation of America (AFA) was started by a coalition of organizations to assure quality of care and excellence in service to individuals with Alzheimer’s disease and related illnesses, and to their caregivers and families. AFA’s mission is to provide top-notch care and services to people faced with dementia, and to their caregivers and families, through member organizations committed to enhancing their quality of life. AFA trusts that by elevating recognition of the disease and informing healthcare professionals and the general public, they will get rid of the stigma surrounding the disease. This may in turn result in early detection and proper utilization of resources, eventually improving their quality of life. How much is the registration fee for charity events like walkathons? Are there trainings offered priored to events like Walkathons? If yes, are they free or at a charge? Do Alzheimer’s associations take donations like vehicles and vessels? If so, would be donation tax be deductible? How do I become an Alzheimer’s advocate in my city/state? How can a company or individual become an official sponsor of Walkathons? What should I do if I receive donations made out to my name? 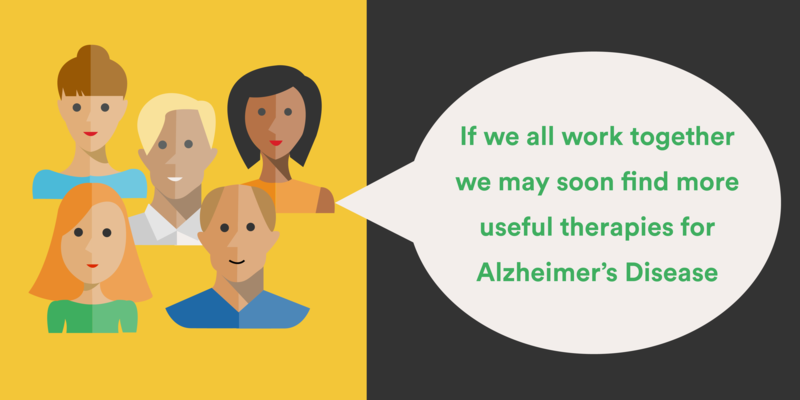 Are there any sources of financial help for people with Alzheimer’s caregivers? Founded in 1988, the Long Island Alzheimer’s Foundation (LIAF) aims to lessen the strife felt by those suffering with Alzheimer’s and other forms of dementia, and those caring for them and their families. Preliminary efforts employed the use of hotlines to provide information on AD, production of the area’s first comprehensive resource directory, and a social-model adult day services program. Since then, LIAF’s services have grown and are being duplicated by other groups to benefit individuals affected by Alzheimer’s. LIAF is held as one of the foremost sources of information and services for those with dementia, their families, and the healthcare community. They serve the New York metropolitan areas of Nassau, Suffolk, Queens and Brooklyn. The Fisher Center for Alzheimer’s Research Foundation is a major hub of funding for Alzheimer’s research. They raise funds to care for Alzheimer’s patients and their loved ones by attempting to find the causes of, and cures for AD, and ameliorate the condition of those living with Alzheimer’s. They mainly invest in the work of internationally renowned scientists seeking a cure for AD. The Alzheimer’s Association is the largest non-profit funder of Alzheimer’s research. They raise funds to help provide support for individuals with dementia and their families, as well as to support ground-breaking research in hopes of finding a cure. They are also leaders in Alzheimer’s advocacy across communities. In particular, their mission is to eliminate AD through the advancing research, providing and enhancing care and support for those affected, and reducing the risk of dementia through the promotion of brain health. Many of us strive to do good in life, perhaps seeking something which is larger than ourselves. Those who have been impacted by AD may feel lost and dejected as a consequence of their inability to save their loved ones from this devastating disease. Working towards and fulfilling tangible goals while working with individuals who have experienced similar circumstances can be incredibly fulfilling. While there are plenty of times when the effort seems loaded with futility, it is important to keep in mind that you are not alone and that just as you have been inspired to take action, perhaps your event will have a similar impact on others. Those interested can take the first step today by locating nearby Alzheimer’s walkathons and signing up and/or donating to the effort. Once you get engaged, a vast array of resources and support can be found online to help get your own charitable efforts underway. The most important step is making those first strides towards contributing to this important cause in the way that works best and is most meaningful for you.